I’ll pick Chloe Garcia as my sister.Cause she is addicted to reading as I am, and she is romantic! I would pick Nikki because I would help her out when she needed it and do those wacky adventures with her and have fun. Cheer her up when she needs it. 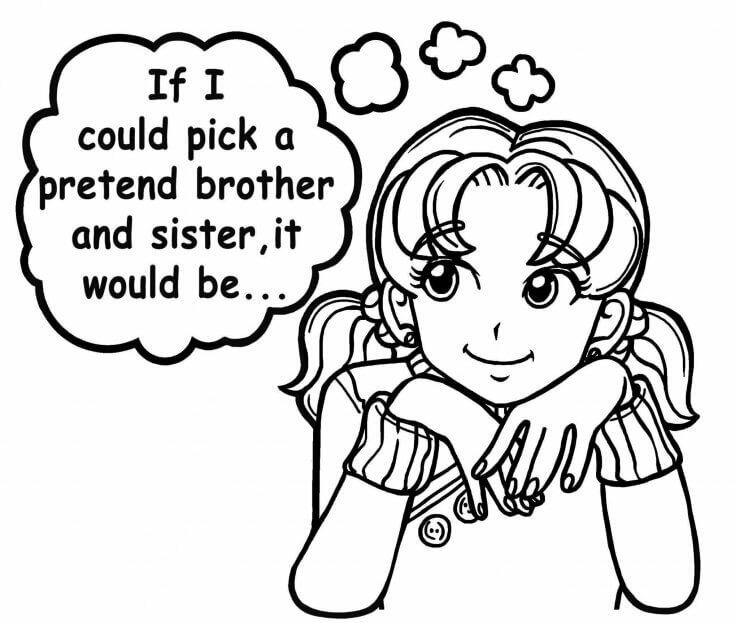 I would have Sherlock Holmes as my brother and my actual sister as my sister. Because no one can replace my sister. No one. *fangirl scream* Dwayne Johnson *sighs*. Because i could be on YOUTUBE!!!!!! I would absolutely LOVE to have Chloe and Zoey as my two older sisters! We would gossip together all day. Me and Chloe share an adoration for books. Zoey would be a great help with truly believing in myself. They would also help with dealing with my other annoying little sister! I WOULD LOVE MY BFF TO BE MY SISTER !!!!!!!!!!!!!!!!!!!!!!!!!!!!!!!!!!!!!!!!!!!!YAY! Hmmmmmm… lets see, well I would choose Chloe for a sister and DEFINENTLY choose Zoey as a sister! cool this is my first time on, and I LOVE it! I would like to have, Brandon Robert, as my brother. Since Nikki really likes him, I would totally help Nikki in the book, to have him as a boyfriend. Since I bet, Brandon, also likes NIKKI, too. I would like Marinette Dupain – Cheng as my sister. We will tell each other secrets and I will totally help her, get Adrien Agreste as her boyfriend. At least I will try to help Marinette and Nikki. ALWAYS TRY!!!!! But i couldn’t want him as a bro coz i have a crush on him! You mean the Marinette from Ladybug and Cat Noir?! Sqqueeeee!!!!!!!!!!! I LOOOOOOOOOOOOOOOOOOOOOOOOOOOOVE that show!!!!!!!!!!! Oh my gosh did you just say marionette dupan-cheng?!? It’s quite obvious I bought crush catastrophe SPOILER ALERT: And brandon says:I really like you, Nikki a lot! OMG!!! I TOTALLY AGREE WITH YOU DITTO DORKY!!!!!!!! I’d have a sister. And my pretend sister would be Niki Maxwell. Why? Because Nikki seems so cool and super funny. For a sister, it would be Layla, my BFF. For a brother, it would be my other best friend, Angel. I would love to have Ariana Grande as a sister since I’m a huge fan! Omg are you an arianator? Me too! Ari is QUEEN! !